Cute it may be, but CAS it is not. I don't think. 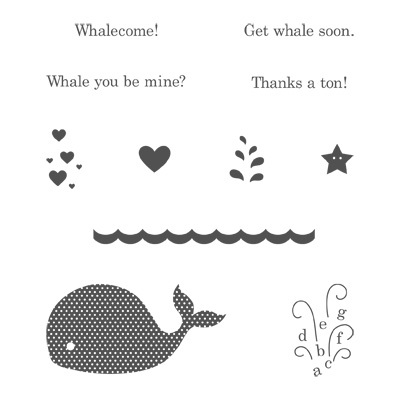 This is the new Oh, Whale stamp set. Isn't it adorable? 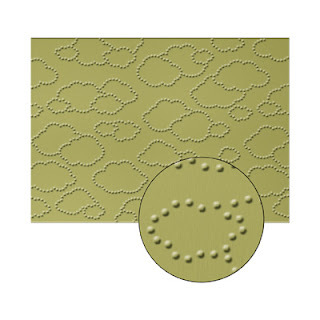 And the Cloudy Day embossing folder? 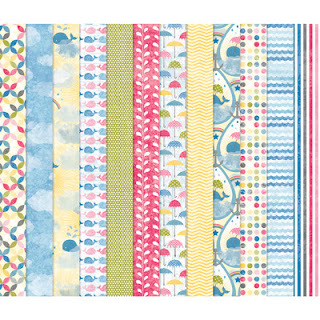 The Sunshine and Sprinkles DSP is the perfect back drop with those cheerful rainbow colours. Then there's the little fork bow again. (I am going to do a video tutorial on how to make them, but I have footage for two other videos I have to edit first!) I really like the Striped Organdy ribbon from the Spring Catalogue and it makes the perfect little bow! But tell me, how would you make this card more clean and simple? What should I have done without? Leave me a comment with your ideas and I will try to rework the card so you can see my progress! 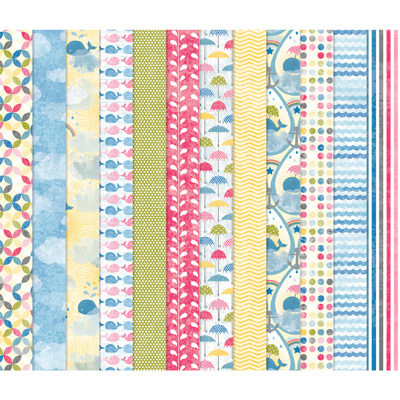 Stay tuned tomorrow for a new "Crafty Clues by Heather" video tutorial. Ta-ta!